Welcome to our very popular migrant tales series – first hand accounts of the migrant experience of New Zealand. Today’s tale was left by a British migrant in response to another person’s migrant tale – “NZ vs UK – not all its cracked up to be. Is it just me?“. She has been in New Zealand for less than 2 years and already has family there, and thought the transition would be relatively easy. That’s one useless piece of advise! People have invested their hard earned money to move here and its not as simple as folding your camp and moving elsewhere. What makes your hold both the passports when you are so happy with NZ? Oh! and you may “already know” that not all countries allow dual citizenship. People have the right to complain when there is a problem, just pulling over wool on your eyes or moving on is not the solution. The purpose of information shared here means giving a hard look at the ground reality…not selling 100% pure campaign, there’s a different platform (TV, Radio etc) which is already hijacked by the salesmen. Probably the most pertinent point is that this is a counter to all of the hype that is out there about NZ. Quite honestly, if I had had a more transparent assessment of how NZ was, I would have reconsidered migration. There are some undeniable facts that have been [prior] guarded and kept undisclosed or not openly discussed about what NZ is really like to live in. This is an effort to give prospective migrants perspective on what the transition might be like and a more unvarnished view of what NZ is. ” If you don’t want to live in New Zealand then leave.” This is not as easy as it might appear, or else there would be far fewer migrants staying. What is the harm in relaying personal experiences as long as they are true? Sorry if the perception of NZ is not as glossy for others as it appears it is for you. I would love to go [move, migrate] to Australia, also. I have not been in a centrally heated house in NZ. The cold just seeps in and it is difficult to get warm. For example, it is not terribly cold here now [high 40s-low 60sF, 10-15C], and yet I am usually in thermal top, shirt [flannel], vest, and two over layers, knit cap, and gloves INDOORS. We do have heaters, but the cost of running them is punitive [extra 2-300$ / month]. There is just no room in the budget for an extra $300, so we dress like Eskimos. The health toll is that sickness last longer and is more often and comfort level is low [only place you really get warm is at night, in bed with the electric warmer on]. I have lived in places that has snow on the ground several months/year, and I was not as cold or uncomfortable there than as being in unheated living quarters here in NZ. Primitive. We been here for over 5 years now and have not lived in anything with central heating. The house rentals are worse and nowhere gives value for money – glorified sheds THEY ARE!!! We usually wear 2 layers of clothing before going to bed and 2 layers of blankets to keep warm…lets talk about intimacy! Prior to moving here we lived in the UK and have experienced months of snow but never felt this cold. In the past 3 months, I have visited the doctor 4 times and all they give is a set of inhaler, some anti-histamine tablets and hey how about 100 pack paracetamol….at EVERY visit ! I complained about dried phlegm in the chest and the doctor just laughed it off when I went for a visit last week. I despise falling sick and it only seems that the doctors are given a target to distribute one brand of medicines this season….SAD ! excuse the sarcasm – obviously been in NZ too long. Here again, the mechanism is in place, but if you use it, you’ll be punished. And this is the way that medical doctors are treated when there is such a shortage and doctors are hired [temporarily] from offshore to come here. “I suspect some of these areas of lower levels of inappropriate behaviour are not even seen that way by the perpetrators of it so by raising awareness I think that will go a long way to its reduction.” So, this is seen as appropriate if it is “not even seen” as inappropriate. How do you get a sizeable shift in behaviour when common courtesy and dignity are non existent and recognition of inappropriate behaviour is not even seen? A serious problem, and this does not just exist in the medical field, this is a problem in NZ society, nation wide. There are “policy papers” on this being developed now. 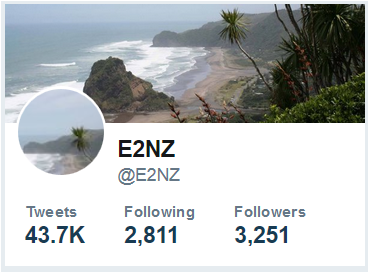 While I realise there are many drawbacks to living in New Zealand, e.g., substandard housing, some of the issues the OP has with the country seem absurd. First, New Zealand has a lack of culture? This statement is borderline racist if not ignorant. This country has a culture that has been shaped by its experiences. Yes, it is a young country by all standards, however, it has its own cultural idiosyncrasies. And for someone from the UK to look down on New Zealand seems absurd. The best features of British culture have been appropriated from foreign cultures. British cuisine is laughable. Is there even such a thing? How is New Zealand to blame for the fact that the OP’s family in the country does not keep in contact with her and her family? And how is New Zealand to blame for the difficulties in communicating with her family back in the UK? I lived in the UK and I had the same issue with contacting my family in the US. I don’t recall ever blaming the UK for that. It really sounds like the OP did not do her homework and researched the country she intended to migrate to, like any normal person would have done. To be honest, I am surprised someone coming from London or for that matter Rip-off Britain is scandalised by the cost of living here. I have been in this country for over a year. And I struggle with the substandard housing and having to heat my home with a wood stove. Electricity is a luxury one must ration. Yes, my standard of living has taken a hit but it has improved in other ways. There are compromises that must be made. But that’s like any other place. Admin, I realised she was referring to her New Zealand based home. And I don’t think she can blame New Zealand for the lack of communication there. Seems quite illogical to blame the country. Did she have a rapport with them before deciding to move to the end of the world? My response is in response to what the OP shared in her story. From that, I gathered she hadn’t researched the country. I visited this website and other websites on New Zealand so I did not come here with some romantic notion. I don’t think I am in a honeymoon phase. There never was a honeymoon phase to speak of! I had a nervous break down weeks after arriving in New Zealand because of the substandard housing and being perpetually cold. And I come from a cold part of the world! We live hand to mouth in my household although our household income is high. So I think it says something about the New Zealand where we are forced to ration electricity and must consider it a luxury, along with other things. So there are many things I am in agreement with the OP and view as drawbacks to New Zealand. There are serious issues with New Zealand. But to declare out right that there isn’t a culture here is ignorant and racist. In particular, when the basis of this country’s culture is English. I also disagree with the notion that the UK or for that matter London are utopias compared to New Zealand. Housing is expensive in the UK, houses aren’t really insulated and heating oil is expensive. Fuel poverty is a much a problem in the UK as it is here. However, I appreciate the OP sharing her experience. I surprised myself in writing a response, since I am usually very cynical about life in general and lurk here. Love the site by the way and congratulations on the good work! Hi Admin, I’m from the UK. Lived here in NZ for 3 years now. We do still heat our homes using oil and do refer to it as “heating oil”. I have plenty of gripes about NZ (most likely why I’m reading this post now – we are a self selecting group afterall) but I don’t think any dissenting voice should be quashed as trolling. NZ has been good and bad to me in equal measure. I finally got a decent job after 2.5 years of rejection and low-income hardship so I’m aware of just how hard it is here to get by. Notwithstanding that, there is good here in NZ and I don’t plan on leaving in the short to medium term. culture is not just poi dances and kapa haka, or maypole dancing. its arts, music, experiences and sorry NZ is in short supply of these things. Since the NZ housing market is in full bubble effect why don’t you just sell and leave? That makes the most sense. Why wait for it to burst and be stuck there forever? Hi everyone, we moved with family from UK to NZ five years ago. My advice to people from UK, do visit NZ for a holiday, but think twice before emigrating to NZ. I’m only staying in NZ for the sake of my kids, otherwise I would of escaped the first year we moved to NZ!! Hi, I really feel for you guys. We eventually left after 10 years and although we have only been back in the UK for just over a month we know it’s been the best decision. We found a truckload more reasons to leave than stay and although my partner is a kiwi, she was as much if not more desperate to leave than me. 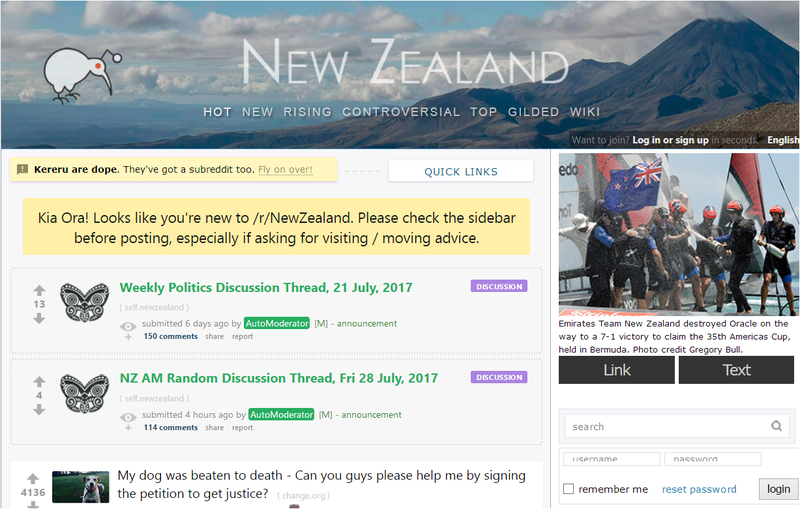 I’m a kiwi who has spent 10 years abroad and it was a shock to go back home for a few months to see how things had changed, and had not changed. Before I get mid stride I’ll outline that this is not a rant but an outline of my experiences. Often this blog covers the experiences of expatriates in nz, well this is a short dialogue of an absentee kiwi’s view of their own home. I’d entertained the idea about moving home to seek work for some time. Shizer, man did I struggle to even get an interview (and no, I’m not some unqualified, untrained mug). Upon finding out what the average salary was I was surprised to see how the cost of living could be supported by salaries so low given that primary purchases such as housing were so over valued (lots of money for a cold house, yeah nah). How do people do it? Maybe living in Gore is the answer. Maybe not. I’d hunted about for work and had a lash at government and private agencies with some hope I might get lucky. Swing and a miss on several occasions. I found that being a returning kiwi was hard and generally encountered a little resentment as a ‘leaver’. I felt an under-current of the age old tall poppy syndrome. It is good in nz if you like the outdoors, beach, bbqs, rugby/sport etc. I like all of those things but they’re not enough to get me over the line. if you do like them, have a job then you’ll love it.Kiwis like people who like that stuff, integration is easier. If you’re planning on going to nz permanently then do plenty of research and try and have a job lined up before you arrive. As per I had hoped and maybe somewhat expected to land on my feet (especially with a ‘rock star’ economy) but came away a little unenthusiastic about coming home. I might just settle for holidays. Ok, so those kiwis who’ll crucify me, great. Bring it on. I’m guessing you’re the types that never left nz and if you did the big excursion to the Gold Coast totally blew you mind. NZ is a great place but it is a lot more expensive and the housing is still pretty pants compared to other equivalent countries especially when you’re battling to save a dollar. Before you decide to pack up and head home to Europe, try moving to Australia. I’m not saying it will be the answer to all of your prayers, but since you’re over here anyway, it’s worth a shot right? The houses in Oz are built semi similar to the construction in NZ but the climate suits this form much better. We were in Brisbane for about a month and the “Queenslander” style of construction is well suited to the climate. Look at a map, NZ is too far South to be building the way they do. We also noticed at how much less “sticker shock” there was. Every time you go to pay a bill you are blown away by how much [relatively] it is in NZ. Things [grocery, transportation, entertainment…] seemed to be much more affordable in OZ. If I could work things out, that’s where I’d go. I feel for you. I lost a lot of money to come here over 20 years ago. Britain pulled out of ERM and overnight the GBP dropped from $3.47 to $2.74, just weeks before selling the house over there. Now it is happening the other way round. Am selling up here, and watched the dollar drop from 51p at the time I made the decision to 42p now. I’m praying it doesn’t drop too much more. However, I’m not in as bad a place as many on this forum – I can at least afford to leave, which will be in about 3 months. I’m not looking forward to the cold, but am looking forward to many, many things. Good luck. One could say there’s no such thing as cold weather, just bad housing. Have a great time when you get back and enjoy all those little luxuries.